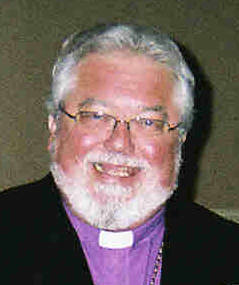 The Most Reverend Gary W. Barkman, Ph.D., D.C.C., Th.D., D.Min. Dr. Barkman has been involved in many areas of ministry. He has been a pastor for many years and has become very accomplished as a counselor/therapist. Dr. Barkman has also organized three churches as pastor. Dr. Barkman is president of AACT, Presiding Archbishop of Dayspring Ministries International and the Evangelical Christian Church. Dr. Barkman has exceptional administrative abilities and is able to multi-task very well. He has excelled in all that he has attempted. Born, November 22, 1946; Honorable discharge, July 1968; Married, August 31, 2002; Wife: Dwana C. Barkman; Ordained Minister, Ordained with the Evangelical Christian Church and the Canadian Evangelical Christian Church … which merged into one denomination on February 13, 2006. Board of Elders, Dayspring Ministries International, ECC, August 31, 2002 to present.